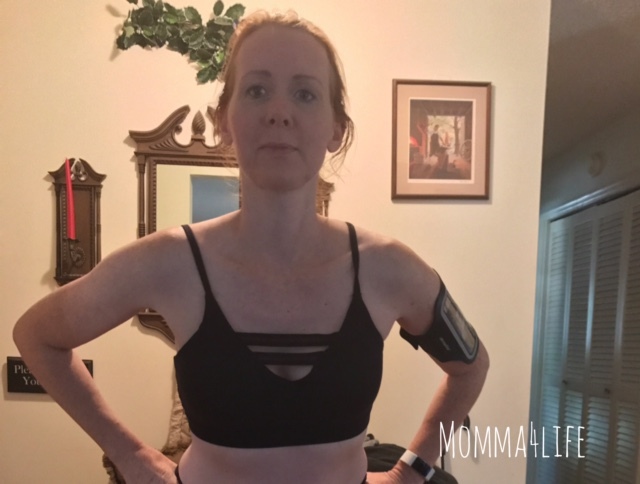 I am so excited to tell you what I got in my Ellie May box this month if you don't know what the Ellie box is it is a monthly box where you receive five items that have to do with fitness. Which includes a couple clothing items, and a couple fitness items also. This box retails for $49.95 and includes free shipping. Are you a fitness buff for maybe you are someone that wants to get into fitness if so this box will motivate you every month to get special goodies to use when you're exercising. Or this would also be a great gift for someone maybe that person that wants to start on their fitness journey. 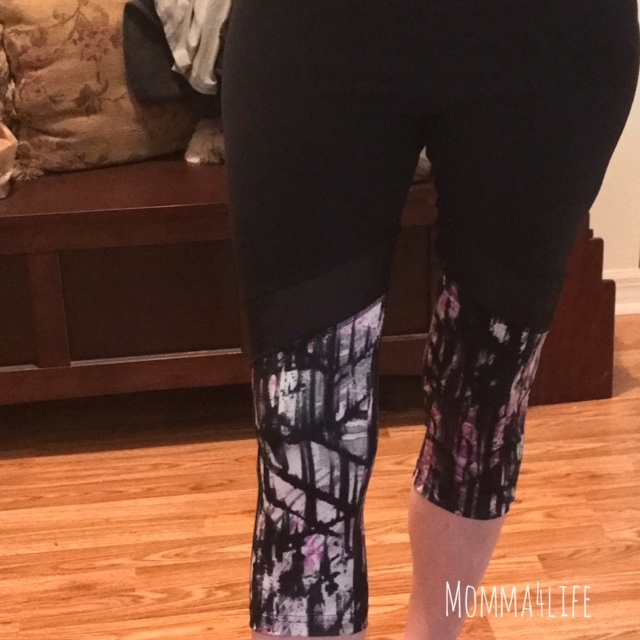 The first item I received were the balance collection capris made out of 50% polyester, 10% spandex they are also machine washable in cold water with like colors. These capris are in a medium. They are black toward the top and then they have the mesh see through vertical area then underneath that is a purple black white and gray design. 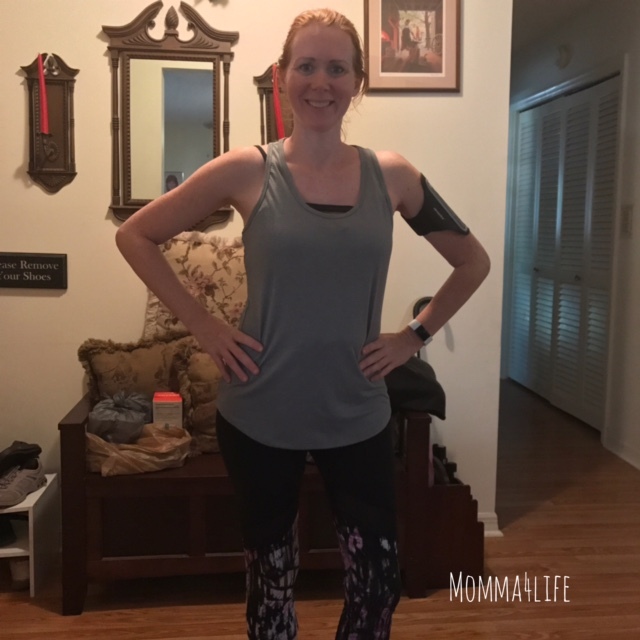 These pants are amazing and fit true to size everything I received fit perfect I would say go with the size you normally wear and you will be set. 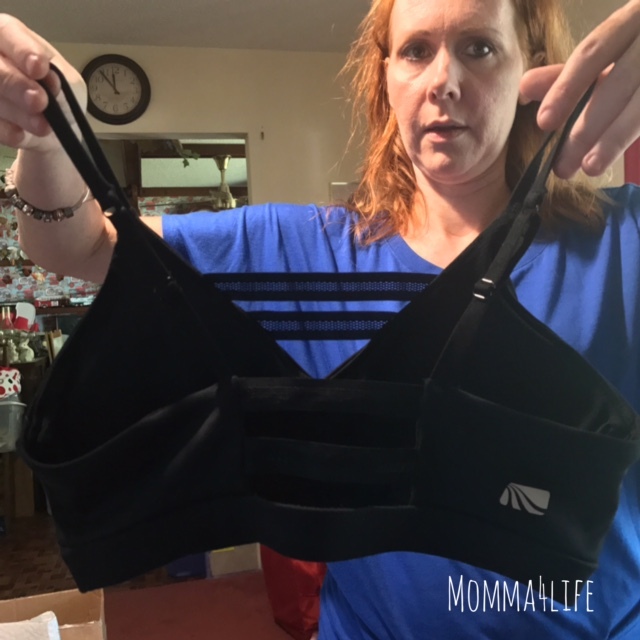 The next item I received was this padded sports bra by Marika. This top is gorgeous and I love the way it fits I received this one in a small and it also fits perfect. I love the design on the back it has two horizontal lines across the back and has padding in the front. 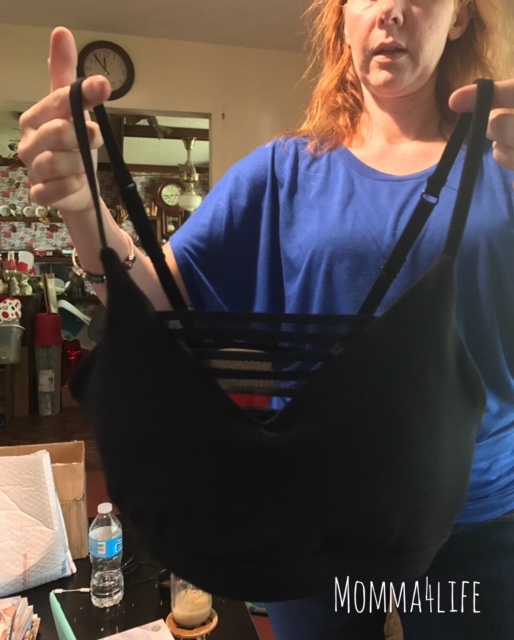 This top is all black it also has the horizontal lines in the front also. 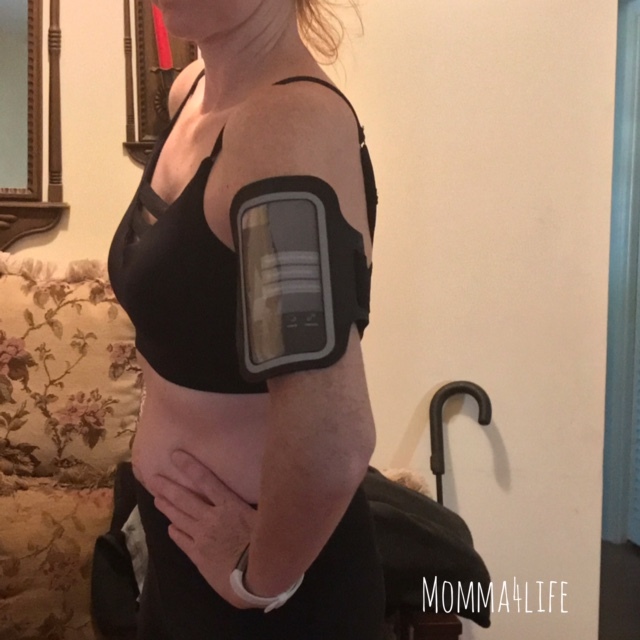 The next item I received is the same company Marika I received their touchscreen compatible it fits most smartphones and has convenient ear and bud ports it's their arm band for when you work out you wear it to hold your phone. It also has a convenient pocket in the back to store debit cards credit cards or ID and it has a pocket on the side where you can slip a key in there for easy access. I really love the size of this armband and the material it's made from it's very durable. 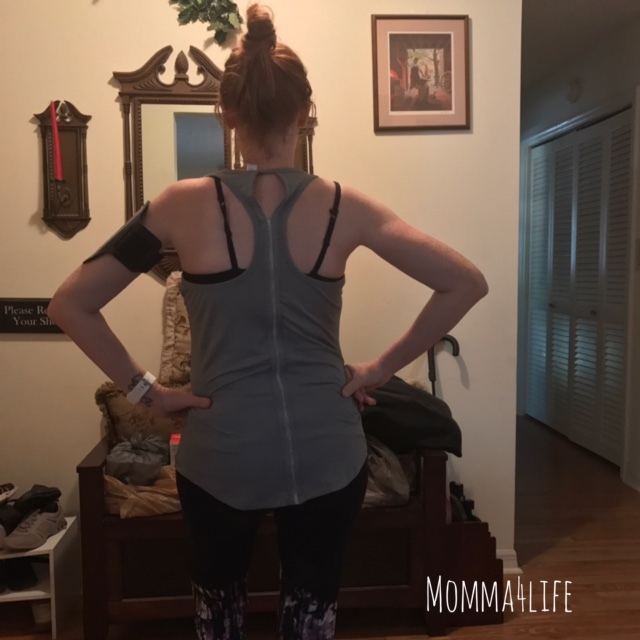 The next item is a sports tank top buy the same brand Marika this is a gray racer back tank that has a mesh type a line in the back this is in a medium and it fits really amazing. 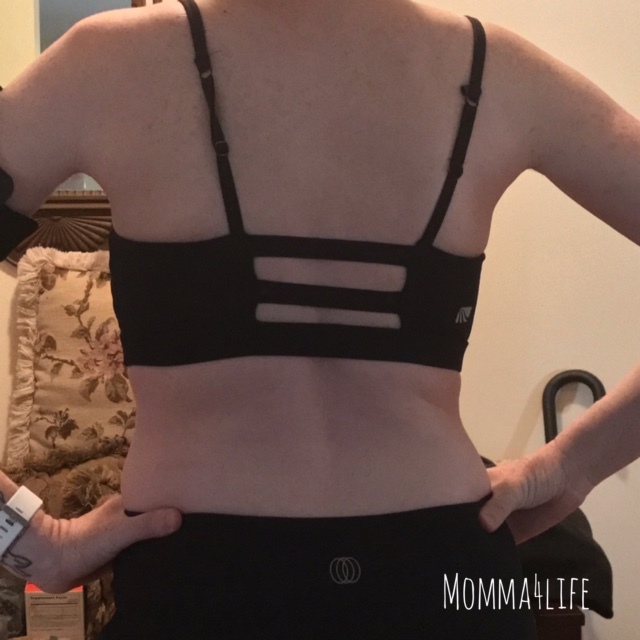 I don't know about you guys but I like tank tops that are a little bit longer that cover my bottom and this one does just that it is very Flowy and so comfortable. This is the perfect Match to go along with your sports bra that also came in this box. 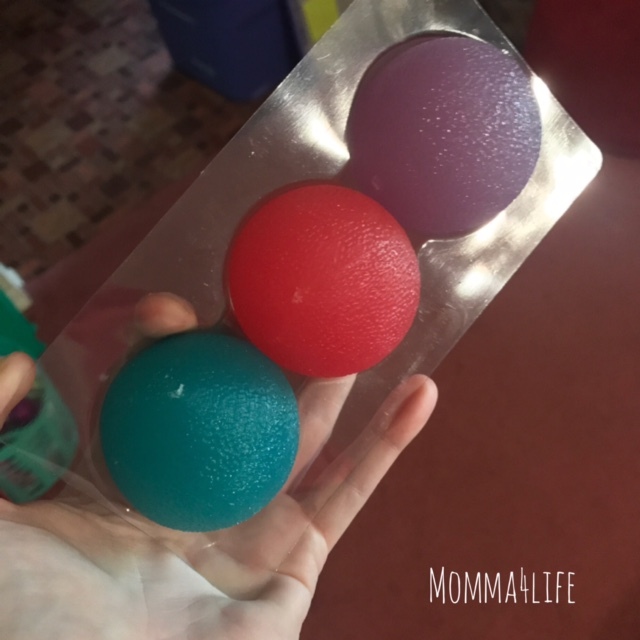 And last but not lease I received a set of balance collection hand therapy balls. They come in three resistance low resistance, medium resistance, and high resistance they are color coordinated so you know the difference. High resistance is the pink one, medium resistance is the green one, and the low resistance is the purple one. You can increase finger, wrist, and forearm strength, also they ease muscle tension and soreness. They stimulate circulation to relax stiff joints, Alleviates strain from typing or texting, and they are easy to wash with a little soap and water.